Could you advise how we can get to Zhuhai and what are the attractions there? Thank you. Hello Maggie, once again thank you for visiting our site. Here's all about Zhuhai, China. Zhuhai is one of the five largest special economic zones in China. It has a population of over 1 million people, but if that's not enough big-city for you, the Special Administrative Region of Macau is nearby, and Hong Kong is just across the Pearl River Delta. Zhuhai is in a leading position in PCB production with a complete supply chain involving over 20 companies. For many years its pharmaceutical industry output has ranked third in the Guangdong province. Zhuhai is also known as one of China's cleanest and prettiest cities. Zhuhai became a city in 1979, a year before it was named as one of the first Special Economic Zones (SEZ). The implementation of this policy is logical as Zhuhai is located on the strategic position facing Macau, in the identical fashion by which Shenzhen faces Hong Kong. Zhuhai encompasses three separate townships. Gongbei on the border with Macau, is the most thriving place and the major tourist area. It takes only 1.5 hours from Zhuhai to Guangzhou, or to Shenzhen. Zhuhai Airport is located at the southwest tip of Sanzao Island in the West Zhuhai, 31 kilometers away from the urban areas. The airport is surrounded by the sea on three sides With all the indexes reaching the international advanced level, the airport has reached the standards of the international first-class civil airport. Zhuhai is principally engaged in the development and distribution of properties. The Company mainly develops residential quarters, including residential properties and relevant facilities such as shops, clubs and garages. The Gongbei Underground Mall is interesting as with the Lotus Road for shopping or just a casual walkabout. Also, along Lotus Road, there are two rows of mini outdoor bars stalls. said to be the symbol of Zhuhai. From Zhuhai, one can just walk across the border into Macau and need to pass through immigration. Here's how to get there by Ferry from different places here in Hong Kong. Regular price from Zhuhai: HK$ 165 (ordinary); HK$ 195 (first class); and HK$ 330 (return ticket). Regular price from Hong Kong: HK$183 (ordinary); HK$ 212 (first class); HK$ 242 (highest class); and HK$ 330 (return ticket). Regular price from Zhuhai: RMB 165 (ordinary); RMB 195 (first class); RMB 225 (highest class); and RMB 330 (return tciket). Note: The China Ferry Terminal is quite convenient if you have a lot of luggage. Comments for how we can get to Zhuhai? Appreciate if you could give us the best, cheapest and easiest way to travel. We are planning to spend 1.5days in macau and zhuhai. And 2.5 days in hongkong and shenzen. How can we get visa to zhuhai via macau. And what is the best means of transportation to zhuhai specifically the underground mall? How to get to Zhu hai from Macau? Vice versa. Please advise on the transportation. Also, it will be great if anybody can recommend me places to go/things to eat at Zhuhai and Macau! i would like to ask where can i buy a ticket and is there any booking we have to make to get a ferry from HK to Zhuhai. How to go Zhuhai by ferry from Hong Kong Airport? Hi, how do I get to Zhuhai by ferry from Hong Kong Airport. My flight arrives late at 8.00 pm in Hong Kong. I am planing to go to zhuhai and would arrive at HK airport at 12pm. I have a few question. 1) can i check in my luggage all the way to zhuhai from singapore? 2) do i need to purchase the ferry ticket in advance? 3) how i go to the ferry check in counter at hk airport? All you need to do is to take a ferry from HK to Macau. Once in Macau, you can go straight to the Macau/Zhuhai border by a short taxi drive. But take note that you'll need a China Visa in getting to Zhuhai as it is already part of mainland China. May i know if wanna go Zhu hai from Hk is it need to arrive at Macau & then take the other ferry then just can arrive at Zhuhai? Hi, We am going to HK/Zhuhai/Kowloon and then back to Singapore. Our flight reached HK airport at 1.40pm and not in time to catch the 2.05pm ferry to Zhuhai. The next available ferry from HK International Airport is at 5pm. Instead of waiting for so long, how and what to do to get to Zhuhai? Miss Ferry to Zhuhai from HK airport? We Malaysians will be landing to HK Airport from Penang 7:30pm but afraid will struck in long queue at immigration counter therefore will miss Ferry going to Zhuhai (last trip 9.30pm). Transfer Area E2 long on road from the check out counter? Watching after our luggage from HK airport till into ferry consuming time,can cause us miss last HK-Zhuhai ferry? Kings De Nathan Hotel (pls follow link to view hotel more info) is a 3-star hotel located at 473 Nathan Road, Yau Ma Tei, Hong Kong. Here's a travel instruction in getting to Zhuhai from Kings De Nathan Hotel. 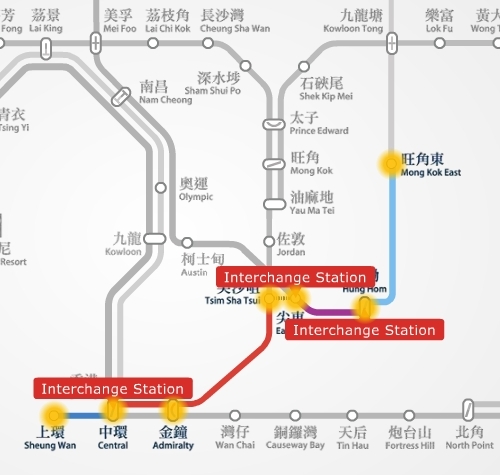 Get into Yau Ma Tei MTR station, entrance/exit C, and take the Tsuen Wan Line trains to Central and interchange trains to the Island Line going to Sheung Wan. Take Exit D towards Shun Tak Centre. The HongKong-Macau Ferry Terminal is on the 3rd floor right above the Sheung Wan MTR Station. i would like to know how can i get to zhuhai from the hotel i`m staying stated below. the nearest train station i shld alight and which exit will i be using. hope to hear from you soon, thanks in advance. * You need to secure a China Visa to get to Zhuhai. Please refer to the above post dated Nov 5, 2011. I'm planning to bring my family for a trip to Macau/Hong Kong and Zhuhai. Arriving from Malaysia to macau at 8pm and depart from macau 8pm. How can i plan a enjoyable plus economical trip for my family (2 adults & 4 children). We need to get any visa b4 travel? My husband an Indian passport holder but with Malaysia PR. he need any visa to travel? We plan to stay in macau on the arrival date and travel to hk for 3 days and be back to macau and to zhuhai for a day trip and next day fly back to Malaysia from macau. Is this plan OK.? 1) Here's a travel route in getting to Macau from Mong Kok (post dated april 22, 2011). Here's a travel instruction in getting to Hong Kong from Zhuhai. Here's a travel guide in getting to Mong Kok from China Ferry Terminal in TST, Kowloon. 2) Macau and Zhuhai are just a 10-minute taxi drive away from each other. Please refer to the above post dated march 12, 2011 and September 11, 2011. Zhuhai attractions. And, please refer to the above post dated march 17, 2011. Me and my family are going Hongkong soon. & we're thinking to travel a day trip to Macau-Zhuhai. 1. I want to take ferry to Macau & take ferry from Zhuhai back to Hongkong. Where I should take my ferry to & from? I'm staying somewhere near Mongkok. 2. Is Macau to Zhuhai very far? 3. Any recommenced to do in Macau & Zhuhai? Hi, I think it is not applicable in your trip, it is in the other way around, example if you're coming from Zhuhai going to Paris. The baggage tag through service directly sends baggage from the Pearl River Delta (PRD) like Zhuhai in your case (or Macao) to the final destination, offering a hassle-free journey to passengers. You should refer to your airline if you wanted to avail this service. In your case, once you arrive in HK, you need to present your baggage tag at Transfer Area E2 counter when you purchase a Ferry ticket going to Zhuhai. You'll then take the Ferry at SkyPier and pickup your luggage upon your arrival in Zhuhai Port. Can someone tell me if I need a special luggage tag for my luggage to be send directly to Zhuhai port? I am flying from Paris to HKIA with AIRFRANCE, and then go to Zhuhai with the ferry. Travel time from Gongbei to New Summer Palace in Jiuzhou Avenue by taxi is 10 minutes at RMB12.64. Most of the tourist attractions in Zhuhai are close to each other, so taking a taxi is the best choice. I will also like to know if my planning for the trip will be too tight. I will only be there for 8 days (arriving HK 1040, departing HK 1850). I haven't really planned on exactly where to go. But disneyland and the Victoria peak are in. Next 2.5 days in Shenzhen. Last 3.5 days in HK. Reasonable? This is my 1st time going there. I was thinking about going for 8 days. But I am worry that I am too ambitious in my planning (this is the 1st that I have done this). 1 Apr: Reaching HK around 11am, den taking ferry to Macau. Appreciate if you can advise if the planning is ok. Basic info about Macau and getting there from Hong Kong. 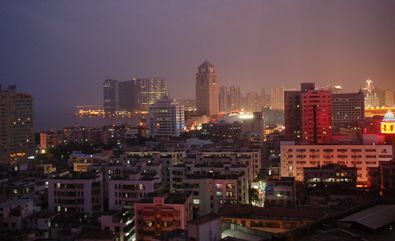 Getting to Zhuhai from Macau, please refer to the above posts dated March 12, 2011, August 16, 2011 and September 23, 2011. Shenzhen from Zhuhai, please refer to the above post dated September 23, 2011. Here's a travel route in getting to Hong Kong from Shenzhen. Hi, I planned to go to these 4 places. However, I am not sure whether I should be going to Macau or Zhuhai 1st. Then from there, to Shenzhen, follow by HK. I will be flying to HK and take a transport to Macau/Zhuhai. Appreciate if you can advise which place I should visit 1st and the mode of transport to take. For visa information, please refer to the above posts dated April 7, 2010 and May 4, 2011. Here's a travel guide in getting to Zhuhai from Hong Kong. Here's a travel instruction in getting to Gongbei Underground Mall from Macau. My family is from Malaysia. I just found out that they have to apply the group visa to China at least 1 day ahead of time. But we will be in HK by then. Is there any place we can apply in HK? If I plan to travel from HK to Zhuhai Jiu Zhou port by ferry? Or should we go to MAcau Gongbei border gate and apply on arrival? Please advise . Macau Ferry Terminal to Gong Bei Undergroundmall ? Hello! really so useful for most of your info. Would like to check with you how do i get to Gongbei underground mall from Macau ferry Terminal. Cause i read earlier u said it's nearer to go Gongbei underground shopping mall from macau ferry than jiu zhou port. You may get back to Hong Kong from Macau via Macau Ferry Terminal or Shun Tak Heliport situated at Shun Tak Centre, Sheung Wan, Hong Kong. Hi, We are planning to go to Hongkong-Macau-Hongkong. Arrival is night time at 9pm but we opted to stay our first night in Macau, so from hongkong airport using the sky pier PRD route to reach Macau taipa, do we have to go back using the same route as we entered macau or can we use the hongkong ferry at sheung wan? Besides I'm Planning to get the 2 day pass from Macau - Hk - Macau, can I use the Turbo jet free 1 way already upon purchasing r/t ticket of t.jet while using the HKIA - Sky Pier PRD Route - Macau? If i use the 2 day ticket pass from hk-macau. how do u count the days? like started at friday 9pm then sat at 9m is a total of 1 day? Please advice me Thank you very much in advance. You cannot enter Zhuhai without a China visa. Unless you are a British citizen or an HK ID holder, getting a China VISA to the mainland borders like Zhuhai or Shenzhen is not a problem, otherwise you're advised to get your visa in your country before your trip. Or, you can get a visa at Hong Kong but it needs a day or two to get approved. I will arrive HK and then would like to go to Zhuhai by ferry at HKIA. Can I buy ferry ticket and go to transfer Area E2 without visa? Because I plan to request visa on arrival at Zhuhai ferry port. How long can I stay up on visa on arrival? I plan to stay at Zhuhai on 10-13 Nov. Is this period OK for visa approval period ? Most budget hotel in Hong Kong have a common issue - small rooms! aside from that it should be fine. The location of the hotel Fei Hung Hotel is also quite good, about 3 minutes walk to the Mong Kok MTR station. You may consider other popular budget hotel (rated 1-star or 2-star) recommended by most of Hong Kong travelers specially those located in Tsim Sha Tsui area. Hi, I am planning a 5 days trip covering 2 days in Hong Kong, 2 days in Zhuhai and 1 day in Macau. I am looking for a budget hotel in Hong Kong. Find this 'Fei Hung Hotel' from web site www.179.hk/Cusac_Fei_Hung_Hotel_EN.html. The hotel is located at Rm2301, 23/F Sun Hing Building, 603-609 Nathan Road, MongKok, Kowloon. Is anyone has any idea whether this place is safe to stay? You do not need a VISA in getting to Macau, just use your passport. But in getting to Zhuhai, you'll need to secure a China VISA. Here's a travel guide in getting from Disneyland to Macau. Actually you can use Macau as a gateway to Zhuhai. Or you can take the ferry at China Hong Kong Macau Ferry terminal at Tsim Sha Tsui straight to Zhuhai. Get into the Disneyland MTR station --> take the train to Sunny Bay station --> interchange trains to the Tung Chung Line and get off at Lai King station --> interchange trains to the Tsuen Wan Line and get off at Tsim Sha Tsui station Exit A1 (39 minutes @ HK$17) --> walk about 8 minutes to the ferry terminal (pls refer to the walk route map below). Hi, I am Singaporean do I need a visa to enter to zhuhai or macau. How to go to zhuhai and macau from hong kong disneyland as we are staying there and we are thinking to visit both place on separate days. Look forward to your advice. Thanks. Basically, you have two ideal options in getting from Macau to Shenzhen and here's how. 1st option: Macau --> take a taxi to the Macau-Zhuhai border (you need to prepare your China Visa) --> immigration check --> walk to the nearby Gongbei Coach Station --> take a bus to Shenzhen Luohu Coach station (bus travel time is about 3 hrs @ RMB100) --> get into the nearby Metro Train Louhu station --> take the Luobao Line and get off at Laojie station in Dongmen (5 minutes @ RMB2). 2nd option: Macau --> take a taxi to the Macau Ferry Terminal --> take ferry to Shekou, Shenzhen (about 1 hr sailing time @ RMB180) --> get into the nearby Shekou Metro train station --> take the Shekou Line train and get off at Window of the World station --> interchange trains to the Luobao Line and get off at Laojie station in Dongmen (54 minutes @ RMB7). There's NO need to book in advance when taking the ferry, there are always tickets available. Guotai Hotel Zhuhai is rated 4-star hotel and conveniently located at 37 Qiaoguang Road Gongbei District, Zhuhai, China. Just walking distance from the Macau-Zhuhai border. From HK, I would suggest you head to the Hong Kong-Macau Ferry Terminal at Sheung Wan north of Hong Kong island and it is more convenience and ideal to take the ferry to Macau (55 minutes sailing time @ HK$141). You may opt for a quick tour once in Macau then a taxi to the Macau-Zhuhai border. After passing thru China immigration check, you can take a short walk to the hotel. Hi, I'm planning to visit Macau at Nov 6th. How to go to Shenzhen from Zhuhai? In Shenzhen, I will stay at Dongmen area. If by ferry, do I have to book the ticket in advance? How long from Zhuhai to Shenzhen? Thank you very much. I and my family is going to Hong Kong this coming school holiday. We have booked a nights stay at Gou Tai hotel at gongbei, Zhuhai. Need your advise, should we take the ferry from HKIA to Macau or Jiuzhou Port, which is more convenience? Thanks. There's NO need to take the ferry in going to Zhuhai when you're already in Macau. Hotel Sintra Macau is rated 3-star hotel located at Avenida D Joao Iv, Macau, China. It is only about 15 minutes @ 40 MOP by taxi to the Macau-Zhuhai border. There are bus that have routes to the border but it takes time - not recommended. i am staying at Hotel Sintra in Macau and would like to go to Zhu Hai for a day. How do i go to Zhu Hai other than ferry? Is there any buses to go Zhu Hai? There's nothing to worry about and there's no need to book in advance for the ferry ticket to and from Zhuhai, you can easily get as soon as you get into the ferry terminal. To avoid any hassle though, you better buy a round trip ticket when you get into the HK Ferry terminal before boarding to Zhuhai. Other option while in Zhuhai, you can easily get into Macau specially if you are in Gongbei area (Zhuhai - Macau border) and take about 10 minutes taxi to the Macau Ferry Terminal and then take the ferry to either Hong Kong China Ferry Terminal in Kowloon or to Hong Kong Macau Ferry Terminal in Sheung Wan, Hong Kong Island. For some details about food and shopping places recommendation in Zhuhai, link below this page. Do I have to buy ferry ticket in advance back from Zhuhai Jiuzhuo Ferry terminal back to HK Ferry terminal? Is the ferry backed on weekdays or its sure that I can get tickets on the day itself? so Gongbei shopping mall is the place to shop as far as what as posted above. Any good restaurants to visit? Nice seafood places near Gongbei or ferry terminal? Good massage decent places too? Re: How to go to Macau from Royal Plaza HK? Royal Plaza Hotel Hong Kong is a 5-star hotel conveniently located at 193 Prince Edward Road West, Kowloon, Hong Kong. Located adjacent to the Mong Kok East MTR station. Here's a travel instruction in getting to and from hotel and hk airport. In getting to Macau from Royal Plaza hotel, efficient-wise, I would suggest the Hong Kong - Macau Ferry Terminal at Sheung Wan. Ferries departs more frequently than in Hong Kong China Ferry Terminal at TST and also, you can save a long walk from MTR exit to the ferry terminal. In Macau, the best place to go would be the Largo Do Senado (Senate Square), the main plaza and then you can proceed afterwards to the nearby tourist attractions. For casinos, the most popular (Los Vegas resort style gambling) to tourist are the more recently completed Wynn Macau, Sands Macau, and Venetian Macao Resort Hotel. How to go to Macau from Royal Plaza HK? I believe there are ferry services from Kowloon and Hong Kong Island to Macau. Which is the most efficient way to get to Macau from Royal Plaza Hotel? Upon arrival in Macau, I intend to go over Zhuhai immediately for half a day shopping before returning to Macau for the rest of the day and return to HK for the night. Being first time in Macau, where are the recommended must-see attractions including one or two casino? Thank you very much for your expert advice! YES, Hong Kong dollars is generally or widely accepted for payments in Macau or even in Zhuhai and also, there's NO problem for those credit cards you've mention specially in the major stores and hotels. Usually, they tend to convert your HKD into MOP (Macau Patacas), 1 Hong Kong Dollar = 1.0328 MOP and you may get MOP for changes for Macau and for Zhuhai, 1 HKD = 0.82722 CNY (China Yuan). To avoid any hassle and arguments, you can always change your HKD to MOP (Macau) or CNY (Zhuhai) upon exit from the borders as you can easily find money exchanger booths. I'll like to know if the HKD will be accepted in Zhuhai? Do they also accept VISA, Mastercard, AMEX? i'm flying through Emirates airlines from Dubai to HK and my final destination is Zhuhai, and my flight is scheduled to arrive at HK airport at 21:50.. I read that the airport ferry's last trip leaves at 20:00, is there another way to get to Zhuhai around that time? Before the Olympic games was held in China, getting a VISA at the borders gateways to mainland China like the Hong Kong - Shenzhen or Macau - Zhuhai borders was just very quick and easy. Since then, it was never get restored back to the original setup and the Chinese government has advised its foreign visitors to secure their VISAs from their respective country before going to China. For the time being, just get a China VISA from your country and have it ready before your trip to China to avoid any hassle and if you want a pleasant trip ahead. May I find out if i am holding a Malaysia passport can I get VISA upon arrival at ZhuHai custom? There are some shopping spots close to Jiuzhou Ferry Terminal like the Zhuhai Department Store but the most popular shopping place in Zhuhai is the underground mall at southern Gongbie one of the main districts within the Zhuhai Special Economic Zone. It is just a border away from Macau, and as I know this is the reason why some people will prefer to go to Macau then proceed to Gongbei for shopping. Gongbie is known to be the main tourist area in Zhuhai with a wide variety of inexpensive hotels, clothing, electronics, souvenirs, food, drink, and colorful entertainment specially at night like the Bar Street. Shopping and Bar Street in Zhuhai, China. Re: Transfer to Zhuhai from Hong Kong International Airport. Upon arrival at Hong Kong International Airport, you do NOT need to go to the immigration counters and you do NOT need to claim your baggage but instead, proceed to the Transfer Area E2 (don't worry, directional signs at HK airport are very visible and easy to follow) and then purchase a Zhuhai Ferry ticket also present your baggage tag (issued when you check-in at airport of origin) at the Ferries to Mainland/Macau Ticketing counter. Some airlines provide baggage tag through service which sends your baggage directly to Zhuhai port. You need to check with your airline for this service. You must check your baggage status before you board the Automated People Mover to the Ferry Terminal by scanning your ferry ticket on the ferry ticket scanner provided. 1. Arrival at the level 5 arrival lounge (E2 Transfer Areas) of Hong Kong International Airport (immigration procedure is not required). 2. Purchase a ferry ticket and show baggage identification tag for baggage reclaim to PRD at Ferries to Mainland/Macau Ticketing Counter must be one hour (with check-in baggage) or 30 minutes (without check-in baggage) before boarding the ferry. 3. Scan the ferry ticket at the ferry boarding entrance when you got the ticket and baggage tag from the Ferries to Mainland/Macau Ticketing Counter (baggage will be collected in the destination port). 4. Wait for the Automated People Mover (train) to SkyPier (Ferry Terminal). 5. Board the Automated People Mover to SkyPier (it takes about 2 minutes) then board the ferry to PRD ports. Re: How to get from Zhuhai (Jiu zhou port) to Gongbei underground mall? The Gongbei underground mall is directly connected to the Gongbei Port. It is a huge two floors of underground shops selling almost everything you can think about such as clothing, shoes, jade, jewelry, handicrafts, etc. By the way, please do bargain when you shop in there. The Gongbei underground mall is about 10 to 15 minutes drive from Jiuzhou Port. You can take a bus or taxi from the Jiuzhou Gang Passenger transport Terminal adjacent to the Ziuzhou Port. Also, Gongbei Port is much closer from Macau Ferry Terminal that is why some people prefer to go to Macau then proceed to Gongbei for shopping. See this Zhuhai / Macau map below showing markers for Ziuzhou Port, Gongbei Port, Macau Ferry Terminal and some Zhuhai shopping spots. How to get from Zhuhai (Jiu zhou port) to Gongbei underground mall? If we take ferry from HK to Zhuhai, we will arrived at Jiu Zhou ferry port. How to get to Gongbei underground mall from Jiu Zhou port? Is it far away? Re: Alternate way in getting to Zhuhai from Hong Kong. Your other option in getting to Zhuhai aside from taking the ferry from HK is by taking a bus from Shenzhen Louhu Coach station to Gongbei Coach Station at Zhuhai. The bus traveling duration time is about 2 hours and a half @ 90 RMB. Louhu Coach station is located just a short walk right after you exit from the HK-China immigration. Here's a detailed information on how to get to Louhu or Lo Wu, Shenzhen from Hong Kong. Kindly advice which hotel to stay in Zhuhai, Macau & Hongkong. I like shopping and eating, may I know where to shop n eat. How to go Zhuhai from Macau airport & how to go Hong Kong from Zhuhai? I have seasick. Any other way to get to Zhuhai for shopping from Hong Kong? Hi, I travel from Bangkok. I would like to know about the transfer to the Ferry procedure to Zhuhai. How will I claim my luggage to get onto the Ferry if I will not get through the immigration check point in Hong Kong international Airport? I need to know the shopping area in Zhuhai as I am planning a day trip there. How far is it away from the ferry terminal? Can we walk or must take public transport? What should we take note when we are shopping in Zhuhai? I am trying to go to Zhuhai for a day trip from Hong Kong, where is the place good for shopping in Zhuhai? In additional arrival at Zhuhai Jiu Zhou Ferry Terminal any near by shopping malls or street? Hopefully can shop around or near the ferry Terminal as just a 1 day trip. Looking for cheap stuff to buy in Zhuhai. If possible please reply with location as never been to Zhuhai before. Royal Park Hotel is a 4-star hotel situated at 8 Pak Hok Ting Street, Sha Tin, Hong Kong adjacent to the Shatin New Town Plaza mall. Going to Zhuhai from your hotel, for efficient-wise (no long walking time compared to the China Ferry Terminal in Kowloon), I suggest you take the Ferry from HK-Macau Ferry Terminal which is situated right on top of Sheung Wan MTR station Exit D at Shun Tak Centre, Connaught Road West, Sheung Wan, Hong Kong Island. Here's how to get there through MTR trains which is the most efficient and fastest way of transportation. Or, the hotel has a shuttle bus service going to Tsim Sha Tsui (you need to verify with your hotel) for about 15 minutes travel time plus from there, you can take the Tsim Sha Tsui MTR trains to Sheung Wan station, 11 minutes / HK$ 7.9. See more details in getting to the Hong Kong-Macau Ferry Terminal here. Hi, I am going to HK on 12th - 17th Jan 2011. Is currently planning a day trip to Zhuhai with a gf. Our hotel will be at Sha Tin (Royal Park hotel), which will be the fastest way to get into the Ferry terminal? Chu Kong Passenger Transport (CKS) provides links to the Pearl River Delta cities of Macau, Zhongshan and Zhuhai. Yes, the listings above are still valid. And yes, it is good to purchase a return ticket upon getting at the Ferry terminal ticket booths. I think it is more convenient to take the Ferry at the Hong Kong-Macau Ferry Terminal or known as the Macau Ferry Terminal or Shun Tak Heliport situated at Shun Tak Centre, Sheung Wan, Hong Kong. 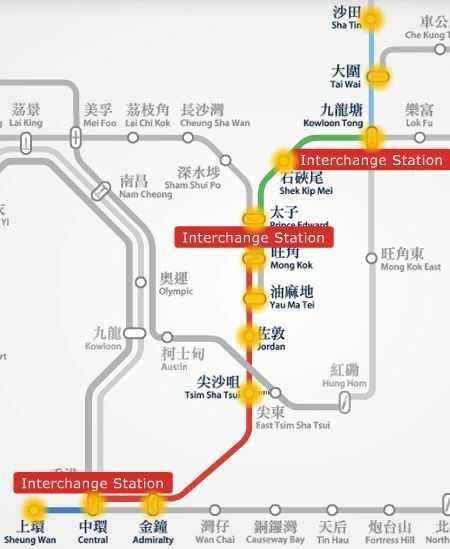 If you're from Jordan, take the Tsuen Wan Line MTR trains to Central station, then interchange trains to the Island Line to Sheung Wan station and take Exit D. It is only 12 minutes trains travel, HK$ 7.9 and just couple of minutes walk from the exit. Otherwise, if you prefer ferries at China Ferry Terminal (Tsim Sha Tsui, HK) in Kowloon, you need to take about 15 minutes walk in getting there from Tsim Sha Tsui MTR exits. China Ferry Terminal (Tsim Sha Tsui, HK) to Zhuhai Jiu Zhou Ferry Terminal. We will be going over to Hong Kong in 7 Dec 2010 and staying near Jordan. We intend to pop by Zhuhai for a day. Is it more convenient to take a Ferry from Kowloon? Can we purchase the return ticket as well when we reach the Ferry terminal in the morning? Is the timing listed above still valid? If you're taking the Ferry coming from Zhuhai to the Hong Kong airport, here you can read the basic information you need. Ferry from Pearl River Delta (PRD) and Macau to Hong Kong International Airport (HKIA). Requirements for Zhuhai - HKIA Ferry. What are the required documents beside ferry ticket for boarding the ferry at Zhuhai (Jiu Zhou) to Hong Kong International Airport (HKIA) to catch a flight going to Singapore. Can airline staff holding sub load air ticket board the ferry at Zhuhai? I run www.ZhuhaiNights.com - a social networking and local info site for fans of Zhuhai. This is an awesome article - my friend was looking for airport ferry info and this page got him just what he needed, so thank you so much! Hope you can join my site and let us all know the latest - feel free to plug your RSS feed into your profile page for auto-updating! Most of the borders in China has a facility to issue short stay Visas. You may need inquire further in your airline before you travel as they should know about it. Zhuhai has the right to issue a visa valid for 3 days on arrival to aliens, however, I'm not sure whether Zhuhai can issue visa on arrival or not now, you can have a try to apply for a visa on arrival, if you are refused, you can return to Hong Kong to apply for a China visa, then go to Zhuhai. Here are some information about direct flights from Singapore to Zhuhai, China and together with fare comparisons. Zhuhai is situated in the southwest of Pearl River Delta of Guangdong Province. It faces Hong Kong on the east across the Lingding Ocean, Macau on the south, Xinhui and Taishan on the west, and Zhongshan on the north. Hi there, I'm just wondering if the Jiu Zhou Port provides Visa On Arrival for travellers who have no visa on hand? Hi, do u know what airline can i take from Singapore to Zhuhai direct?? SkyPier at Hong Kong International Airport (HKIA) provides speedy ferry service for transit passengers only. Some airlines provide baggage tag through service which sends baggage directly to the Pearl River Delta (PRD) ports such as Zhuhai. Please check with your airline about this. Passengers are required to present baggage tag receipts to Ferry Operator?s counter at originating airport after check-in. Present baggage tag receipt at the Ferries to Mainland/Macau Ticketing Counter at Transfer Area E2. Check your baggage status with the ferry ticket reader. Scan ferry ticket at the ferry boarding entrance. Board the Automated People Mover to SkyPier. Board ferries to PRD ports. One option is to take the Airport Express to Kowloon Station (at the cost of HK$90), then hop on the free Airport Express transit bus K2 to the China-Hong Kong Ferry Terminal to take a ferry to Zhuhai. Note that there are two ferry terminals to board the ferry in Hong Kong, the HK-Macau Ferry Terminal in Sheung Wan, and the China Ferry Terminal in Tsim Sha Tsui. Another option from Hong Kong is to catch a ferry from the HKIA Skypier to Macau and then cross into Zhuhai via the Gongbei border gate. Immigration and custom procedures can be skipped at the Hong Kong end. Do i need to take ferry to Macau from Zhuhai? Where can i take the ferry? Any schedule avaialble? and how much is it? I'm travel from Singapore. I'm holding a standby airline staff air ticket. I learned that only pax with confirmed ticket with departure in next 24 hour could use the ferry service from Zhuhia to HKIA. Is that true? if it's true, are there other alternative ferry service that i can take to HKIA from Zhuhai? The obvious reason to take the ferry instead of bus is convenience and to save time. How about my ferry trip from HKIA to Zhuhai, will there be any restrictions? I presume I just have pick my bags and head straight to ferry counters. There are 3 ferry a day. Wow!! Marissa , You are really great and fantastic!!!! It is so detailed and comprehensive. Thank u so much. I really appreciate it so much. My family of 11 are going to Zhuhai via Macau. Hi, am touring hk in a week's time and was planning to travel to ZH while in hk. Thanks for the detailed info!